I use a lot of food containers every day. Since going vegan, I pack a lot more food with me for work, traveling, parties, etc. And they’re great for storing and utilizing leftovers. A good container for me not only seals air tight to preserve freshness and prevent leaky messes, it’s also freezer safe for storing raw dehydrator breads and crackers, bean soups, nuts, seeds, etc. 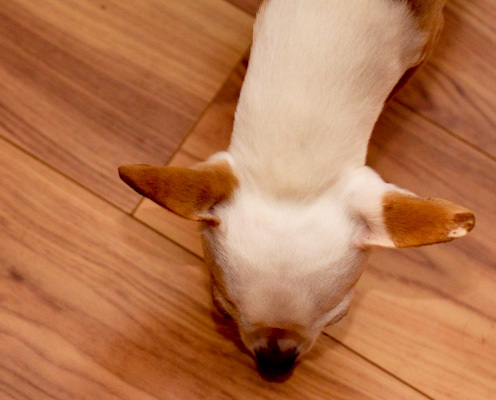 I learned the hard way last week that the seal on an older, rubber-top container no longer seals while shaking chopped tempeh with cornstarch, soy sauce, and seasonings, Miko got to provide his floor cleaning services while I got to wipe cabinets. 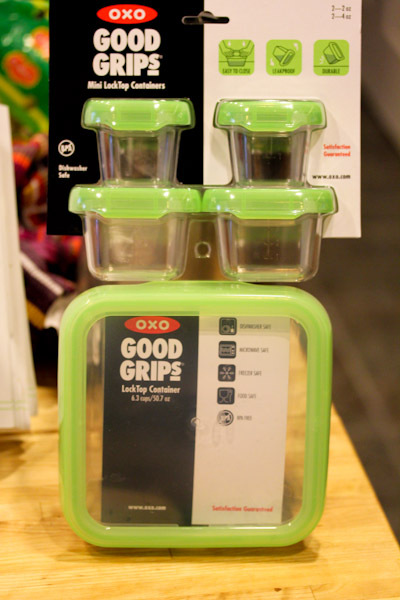 Thankfully OXO sweetly sent me some LockTop containers to try, the medium square size and mini containers. The containers feel very sturdy and strong, the tops snap on tightly with a satisfying click to preserve the contents safely from freezer burn or getting stale. 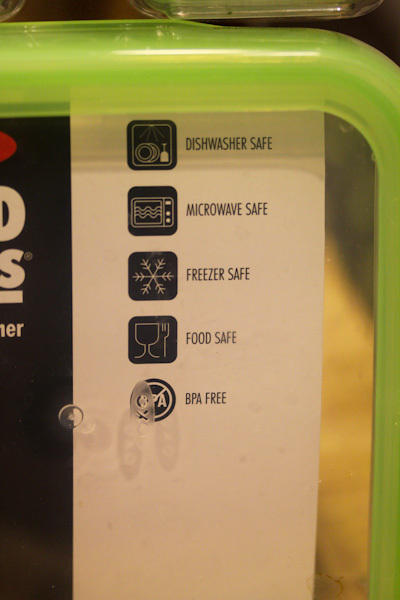 And being freezer and dishwasher safe are huge pluses for me. The medium size is perfect for soaking beans, keeping nuts and seeds fresh in a pantry, fridge, or freezer, freezing up to 4 servings of leftovers, marinating tempeh and tofu, and, my favorite, packing huge salads for work lunches while using a mini container for the dressing. They truly are leak proof, I wouldn’t try tossing a container of liquid salad dressing into my purse for work with my old containers! Nice for packing soups, sauces, and anything other loose liquid too. The only minor gripe is it’s not easy to lock the lid on requiring a little force. Getting the lid off also requires some muscle and seemingly more so for the mini containers. I didn’t find this to be an issue, but these might not be the best option for kids lunches. Would you like to try these LockTop containers? Great, because OXO is hosting a giveaway for a similar set! To enter, simply leave a comment telling me what you’d use them for. I’ll announce the winner on Tuesday, May 8th. Good luck! Neat! I could use them to store my water packed tofu since I don’t use it all up at once. I would love those for packing lunches. I’d use them for my lunch! I would use them for soups! i would use them for my lunch! i need these! I would use these to save my sanity! But really, I would love to have these hanging around to store all my produce and get my husband to eat leftovers! I’d use them for work lunches, leftovers, bean soaking, storing cut fruit, and an occasional packed picnic. There is no such thing as too many food containers. I’d use them for vegetable medleys and fruit salad! 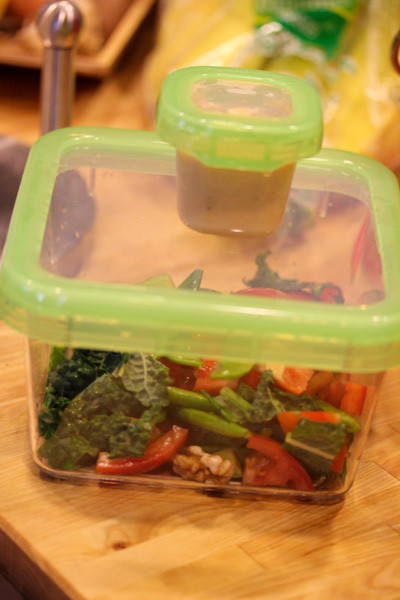 I would use these containers for storing my leftovers! And for pre-mixing my salad dressings as these containers don’t look like they spill when mixing like the others! Ooh, i’m always hesitant to pack food in my bag for fear that they will leak all over. These seem pretty dang leak proof! I would use them to pack my dinner in when I go to work! I tend bar in a bar/restaurant & I try to make the healthiest choices by packing light, easy-to-grab food to bring to work for when I’m on my feet all night! I’d use them to transport salad to eat at work. I still can’t find a container for salad dressing that is truly leak-proof. 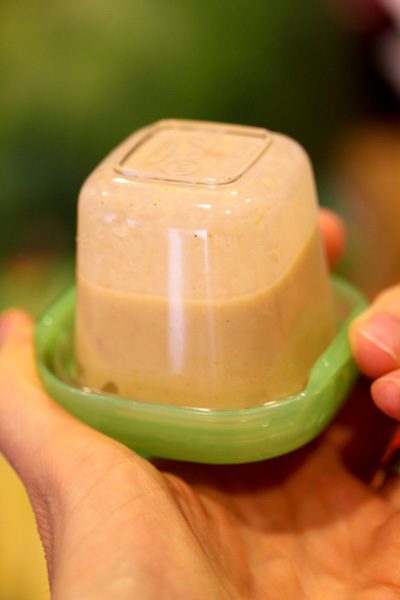 I’d use the big container for the veggies and the baby container for the dressing. I’m a fan of most OXO utensils. I haven’t branched out to the storage containers yet. If I had these, I whould have my yoghurt in the smal on and bring it with me like lunch and have oatmeal and leftovers in the big boxes. They are genius! I’d use them to pack my lunch for work! I’ve have wanted to try these for a while. Hmmm, with summer coming and my veggie garden starting to bloom, I’d have to say these would be put to good use storing up chopped veggies and fruit from the garden. 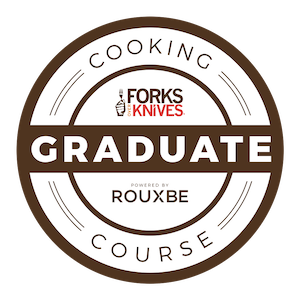 I think the smaller ones would encourage me to continue making sauces and dressings, something I’ve recently gotten interested in. Happy Eating! I’ve wanted to try these for a while. Hmmm, with summer coming and my veggie garden starting to bloom, I’d have to say these would be put to good use storing up chopped veggies and fruit from the garden. I think the smaller ones would encourage me to continue making sauces and dressings, something I’ve recently gotten interested in. Happy Eating!